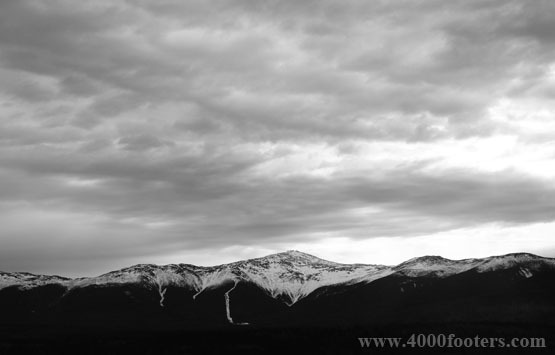 Mount Monroe is a 5,372 foot mountain in the Presidential Range of the White Mountains. 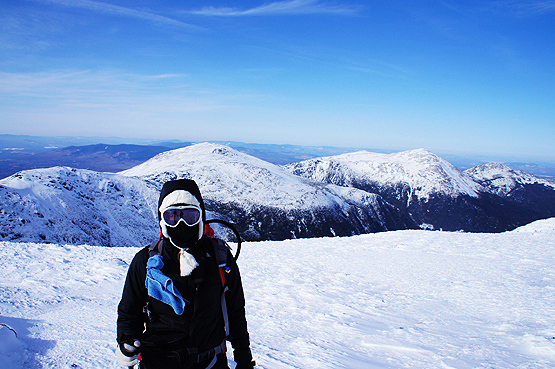 It is the 4th highest mountain on the 4,000 footers official list of New Hampshire. 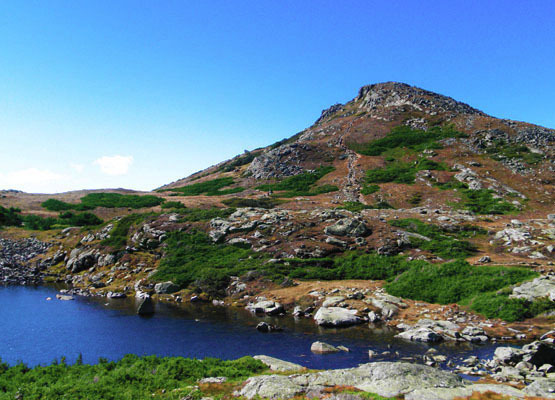 There are 2 small lakes and a hut between Mount Monroe and Mount Washington called Lakes of the Clouds, and Lakes of the Clouds Hut. The summit offers 360 degree amazing views that include Mount washington and the rest of the Presidential Range Mountains. Mount Washington is a 6,288 foot mountain in the Presidential Range of the White Mountains. It is the highest mountain (in both elevation and prominence) in New Hampshire, as well as New England. 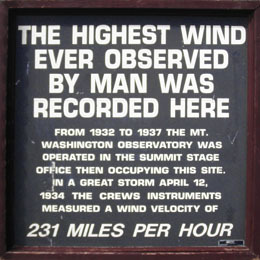 The worlds highest wind gusts were recorded at the summit on April 12, 1934 at a whopping 231 miles per hour! The main building was built to withstand wind gusts of up to 300 mph, while the other structures on the summit are chained down right into the mountain. The weather at the summit and along trails leading up to it can change in an instant, so if you plan on being on the summit, via hiking, riding the cog train or driving, dress appropriately and bring extra clothes. Looking at Mount Monroe and one of the Lakes of the Clouds. Photo taken on September 11, 2010. 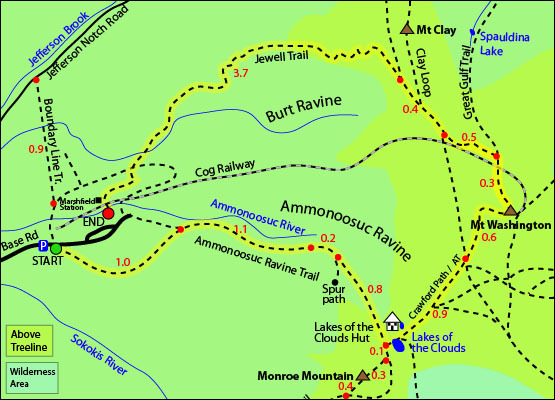 The map below shows how to get to the summit of Mount Monroe and Mount Washington with a very scenic loop hike beginning and ending with the Jewell Trail and the Ammonoosuc Ravine Trail. You start on the Ammonoosuc Ravine Trail located in the parking area off of Base Road in Thompson and Meserves Purchase, NH. Hike 1 mile which is fairly flat, but rocky. 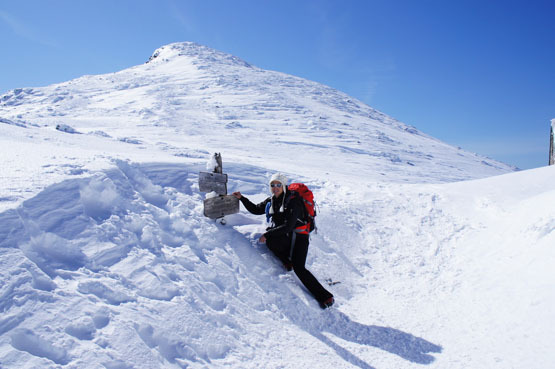 You will come to a small junction with a 0.3 mile trail leading to Base Station. Stay right here to stay on the Ammonoosuc Ravine Trail. Continue for 1.1 miles where you will reach Gem Pool and its waterfall. Continue for 0.2 miles where you will see a sign for a gorge. Take that path on the right if you want to see am amazing set of 2 waterfalls side by side. (That path is only about 80 yards.) Once you get back on the Ammonoosuc Ravine Trail, hike up for 0.8 miles where you will find yourself at the Lakes of the Clouds Hut and the junction of the Crawford Path, which is also part of the Appalachian Trail. Follow the Crawford Path for 0.1 and bear right to go to the Mount Monroe Loop. The summit is only 0.3 miles from there. You can choose to descend Mount Monroe on either side of the loop trail pictured below. To head over to Mount Washington, hike back towards the Lakes of the Clouds Hut and take the Crawford Path from there. Mount Washington's summit is 1.5 miles from there. To ge back to the parking area, you will take the Jewell Trail. Follow signs towards the Great Gulf Trail / Jewell Trail. Follow the Jewell Traill all the way down to the parking area. Looking up to Mount Monroe from the Lakes of the Clouds Hut in the Winter. Hiking down the Jewell Trail on March 7, 2012. Photo taken from the Omni Mount Washington Hotel in April. 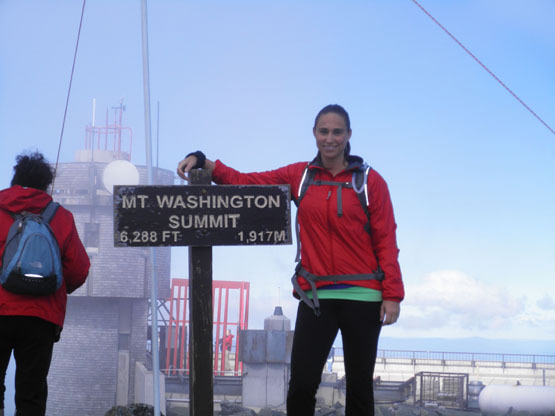 Mount Washington Fall summit photo. Taken on September 11, 2010. The parking lot for this hike is located on Base Road in Thompson and Meserves Purchase, NH. From the junction of Route 3 and Route 302, head East on Route 302 for 5 miles. Turn left onto Base Road. (You will see a billboard for the Cog Railroad, and a restaurant on the corner.) Drive 5 miles and turn right into the WMNF parking area. Sometimes you can park up the hill, other times they require you to park at the bottom, and walk up. The trail begins up the paved road, behind all the buildings on the right side. It is signed.